Cyclone winds and floods that swept across southeastern Africa have affected more than 2.6 million people and could rank as one of the worst weather-related disasters recorded in the southern hemisphere, according to UN officials. Rescue crews were still struggling to reach victims on Tuesday, five days after Cyclone Idai raced in at speeds of up to 170 kph from the Indian Ocean into Mozambique, then its inland neighbours Zimbabwe and Malawi. Aid groups said many survivors were trapped, clinging to trees and crammed on rooftops in remote areas, surrounded by wrecked roads, flattened buildings and submerged villages. The organisation said large areas to the west of Beira were severely flooded, and in places close to the Buzi and Pungwe rivers, flood waters are metres deep, completely submerging homes, telephone poles and trees. “The scale of suffering and loss is still not clear, and we expect that the number of people affected as well as the number of people who have lost their lives may rise,” said LeSueur. The official death count in Mozambique stands at 84, but the country’s president Filipe Nyusi said on Monday he had flown over some of the worst-hit zones, seen bodies floating in rivers and now estimated more than 1,000 people may have died. 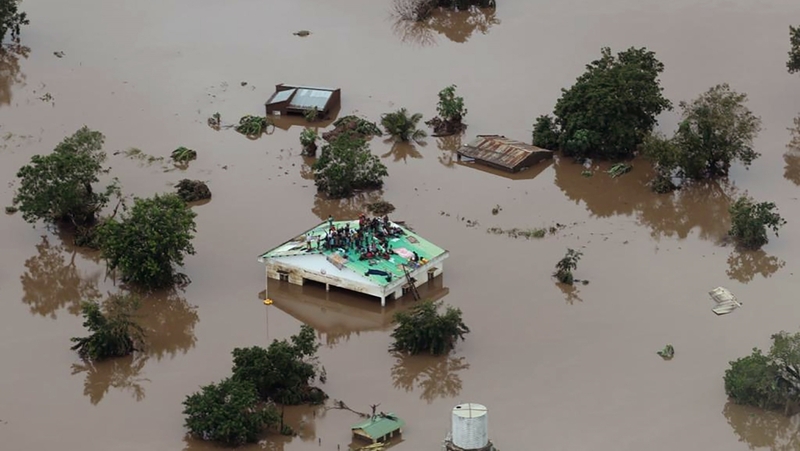 Mozambique’s government believes that some 600,000 people have been impacted by the storm but the UN World Food Programme said its analysis of satellite imagery suggested that up to 1.7 million people in the country were in Idai’s path. Another 920,000 were affected in Malawi, said Herve Verhoosel, senior spokesman at the UN World Food Programme said. “This is a major humanitarian emergency that is getting bigger by the hour,” said Verhoosel. The flooding of the Pungue and Buzi rivers had created “inland oceans extending for miles and miles in all directions,” Verhoosel said. Dams were at 95 percent to 100 percent capacity. “Those visible from the air may be the lucky ones and the top priority now is to rescue as many as possible and ferry them to safety”, he added. Al Jazeera’s Fahmida Miller, reporting from Beira, said power lines were down in the city and surrounding areas. “There’s also no communication. People are not able to call for help, while others are unable to determine where missing people are,” she said. The WFP, meanwhile, warned Beira could face a “serious fuel shortage” in the coming days and said its power grid was expected to be non-functional through the end of the month. In central Mozambique, emergency teams set off in boats, plucking survivors from roofs and treetops in an operation that stretched long into the night. Some 60 kilometres northwest of Beira, 27-year-old Jose Batio told AFP news agency his wife and children survived by climbing onto a roof. But a lot of their neighbours “were swept [away] by the water,” he said. “Water came like a tsunami and destroyed most things. We were prisoners on the roof,” he said after they were rescued by boat. 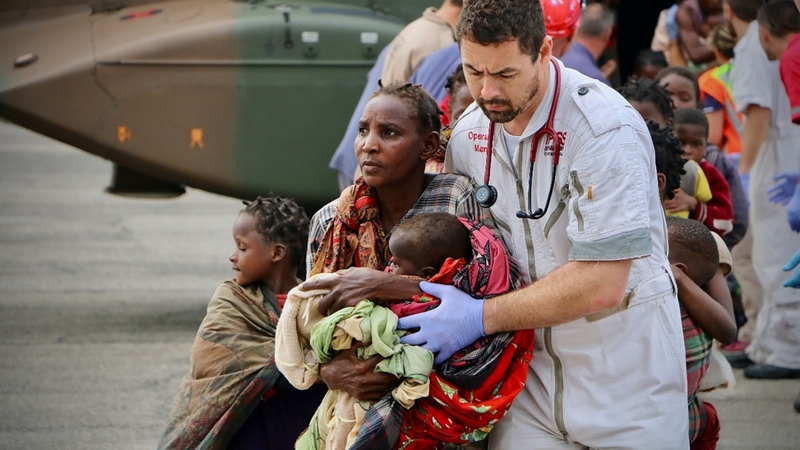 Air force personnel from Mozambique and South Africa were also drafted in to fly rescue missions, while an NGO called Rescue South Africa said it had picked up 34 people since Friday night, using three helicopters. Ian Scher, who heads Rescue SA, said the rescue teams were having to make difficult decisions. “Sometimes we can only save two out of five, sometimes we drop food and go to someone else who’s in bigger danger,” he told AFP news agency. Al Jazeera’s Malcolm Webb, reporting from Mozambique’s central Espungabera, said torrential rain continued to lash the region “on and off” on Tuesday. 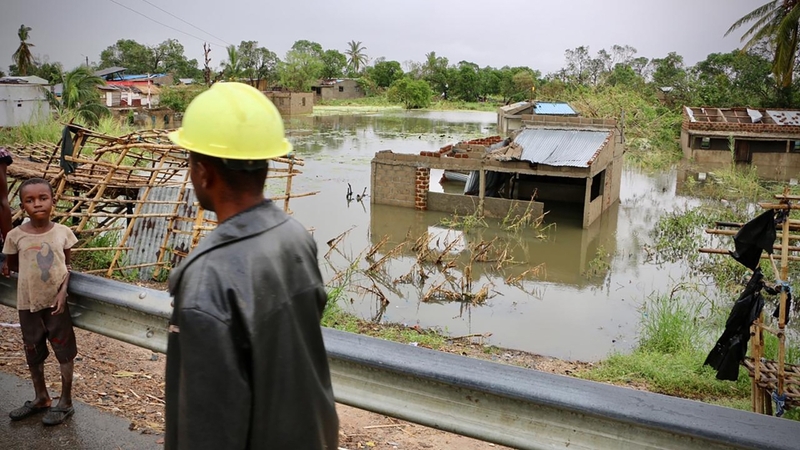 Those displaced by the disaster were taking shelter at schools and government buildings in Espungabera, a town connected to the rest of Mozambique by only two roads, both of which have been washed away, he added. Clare Nullis, of the UN World Meteorological Organization, said Idai could be “one of the worst weather-related disasters, tropical-cyclone-related disasters in the southern hemisphere”. The storm also lashed eastern Zimbabwe, leaving 98 people dead and at least 217 others missing, officials said. Worst hit was Chimanimani in Manicaland, an eastern province which borders Mozambique. Families started burying their dead in damp graves on Monday, as injured survivors filled up the hospitals.